It's tax season. Visit www.larosacpa.ca for your tax checklist, important dates, and to sign up for the monthly newsletter. Personal tax installments, if required, are due quarterly on March 15, June 15, September 15 and December 15. Penalties and interest will be charged if these payments are missed. Check with your accountant or CRA if you must pay. April 30th, personal tax returns due. File early if you are expecting a refund. June 15th, personal tax returns due for those that are self-employed but any taxes payable are due by April 30th. Same is true for your annual HST filing. For those with investments, note that some T3 receipts arrive in March or even April. Ensure you receive all your T3’s before you file and advise your accountant if any are received after you file. You will need to file a T1 adjustment. Remind your kids to go on the university web sites to print their tuition receipts, form T2202, in order to claim the tuition. Some Tuition credit can be transferred to parents if not required by the student. Ensure you have a summary of your disposition of investments, including your proceeds, cost and selling fees to determine your capital gain or loss. Note the administrative change to CRA’s reporting requirements for the sale of a principal residence. You are required to report the proceeds of disposition and description of property on your 2018 tax return if you sold your principal residence, to claim the full principal residence exemption. Talk to your accountant. Don’t forget to input your property tax or rent expense on your tax return to see if you qualify for the Ontario property tax credit. Also check form for other credits. 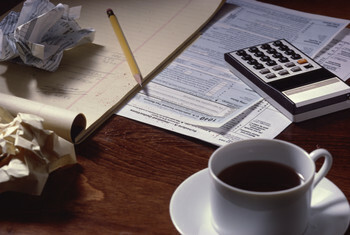 Some tax preparers offer tax refunds upon filing your return, for a % of your refund. With E-file and direct deposit, you can get your refund within a couple of weeks. Is it really worth giving up part of your refund to get it a couple of weeks earlier? Andre hopes you find this general information helpful. Please consult with your accountant or himself if you have any questions. This material is provided for general information and is subject to change without notice. Please consult with your professional advisor before you act on any of the above information to ensure it’s right for you.